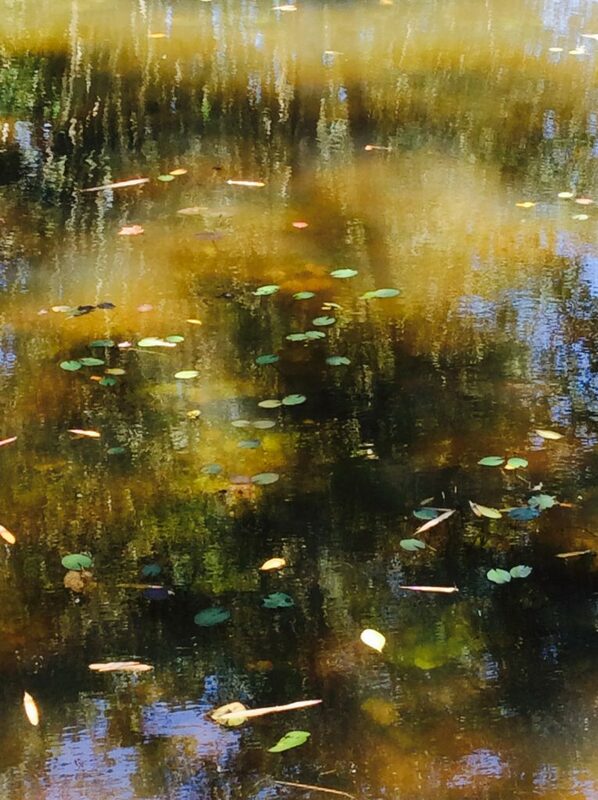 Not Manet’s Waterlillies – reflections in one of the many ponds and lakes at Lunuganga. 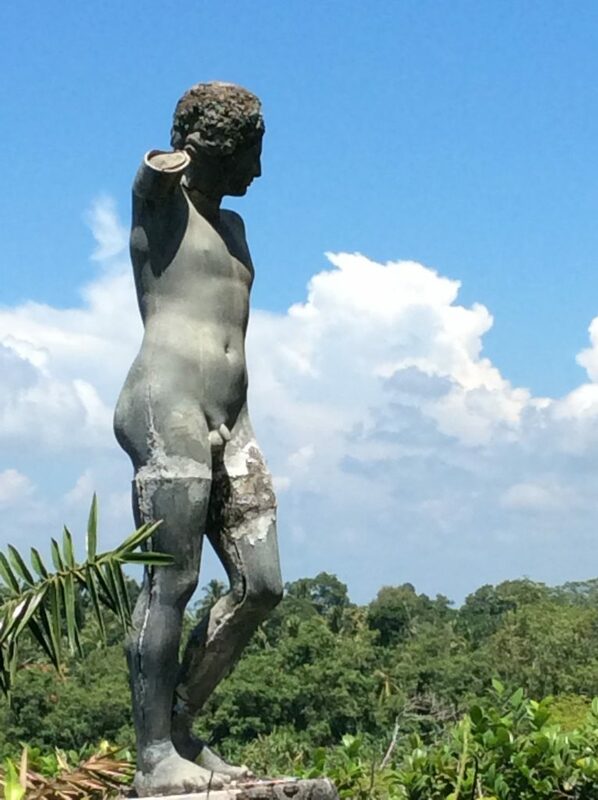 TheEye is always on the look out for wonderful gardens to visit during her travels and the Bawa house and garden in Lunuganga, conveniently situated between Galle and Colombo, was ‘a must’ – how convenient! 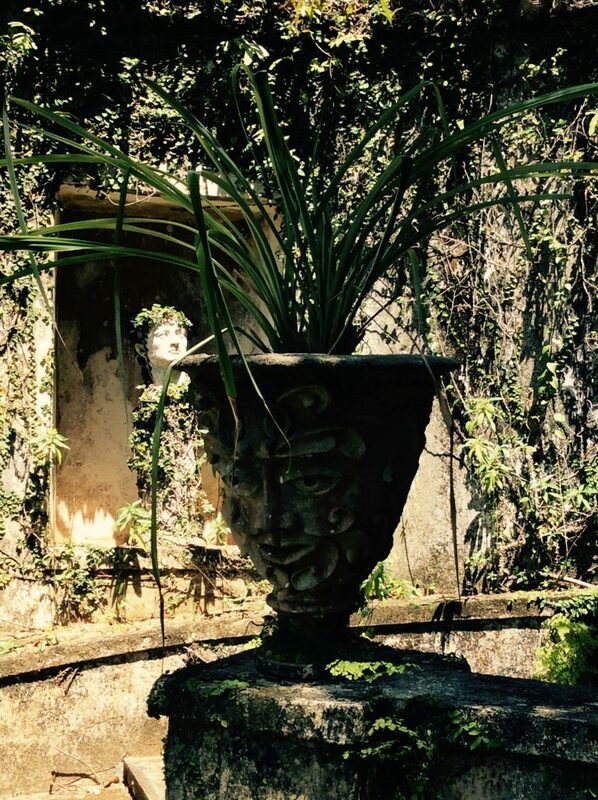 Whilst not probably in the same league as the spectacular Ninfa near Rome, the Lunuganga property – an abandoned rubber estate – created by Geoffrey Bawa over many years starting in the early 1950s is very beautiful and original and a continuous work in progress. Geoffrey Bawa was born in Ceylon in 1919. His father was a wealthy and successful lawyer of Muslim and English parents and his mother of mixed German, Scottish and Sinhalese descent. 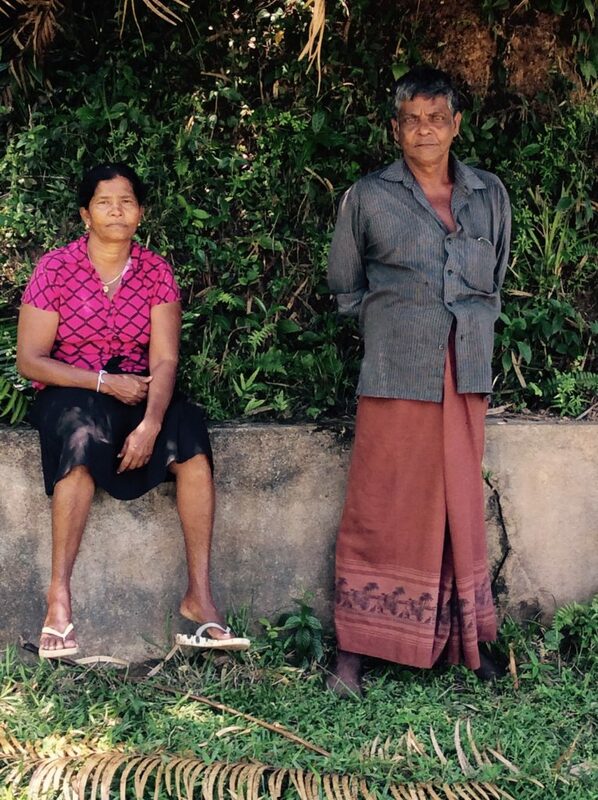 After school in Ceylon, Geoffrey went to Cambridge, read law, and returned after the war. 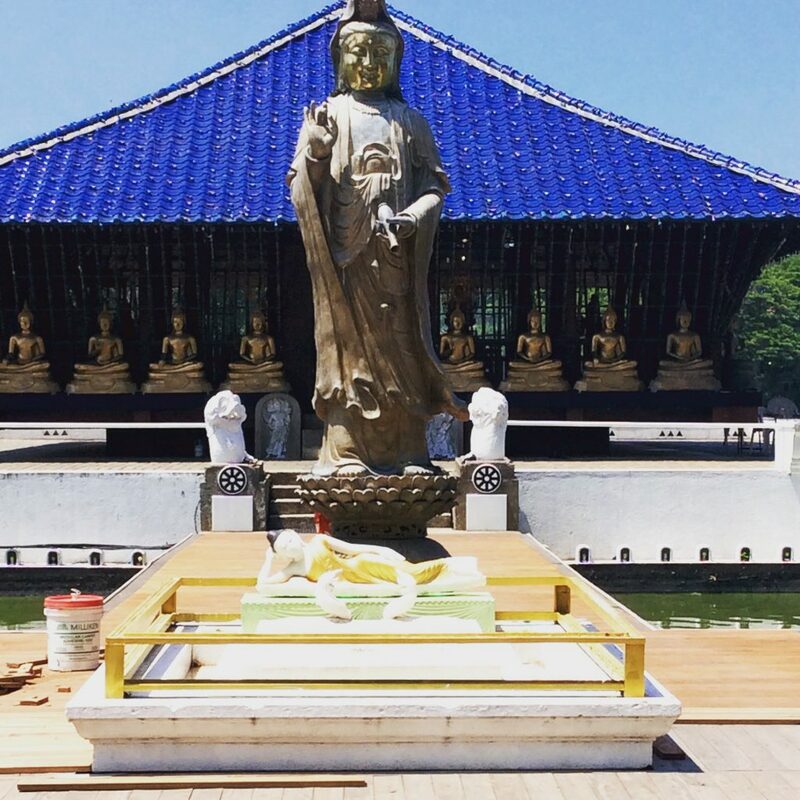 He travelled extensively in the Far East, the U.S. and spent a great deal of time in Italy and when he returned to Sri Lanka in 1948, clearly inspired by what he had experienced, he then bought Lunuganga and started the ambitious project of designing his house and garden which remained a work in progress until his death in 1998. He qualified as an architect at the AA in London and his ‘tropical modernist’ style of architecture awarded him many important residential and public building commissions, including the new Parliament Building in Colombo. His older brother, Bevis, also designed a very important garden at his own house ‘Brief’ although they weren’t close and there was no collaboration between them. 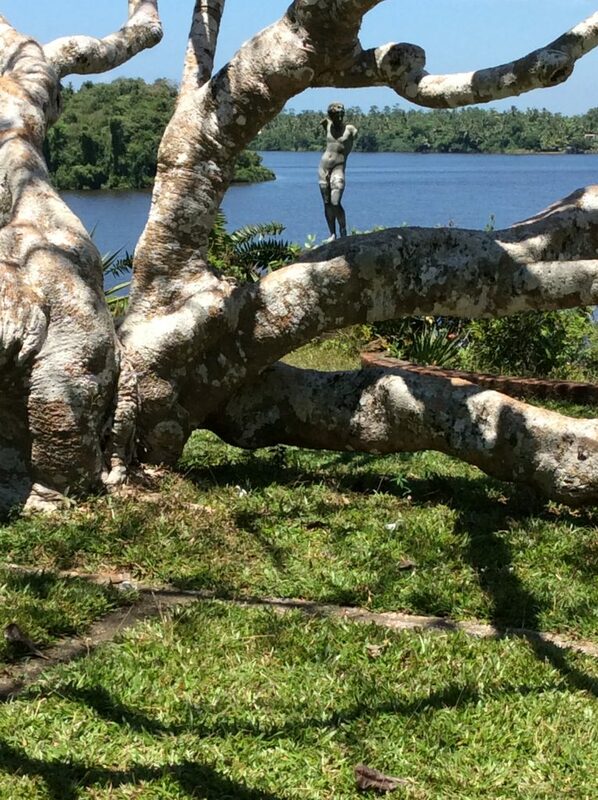 It was a joy to wander around the grounds with its spectacular views and numerous lakes, ponds and sculptures. Uggh! 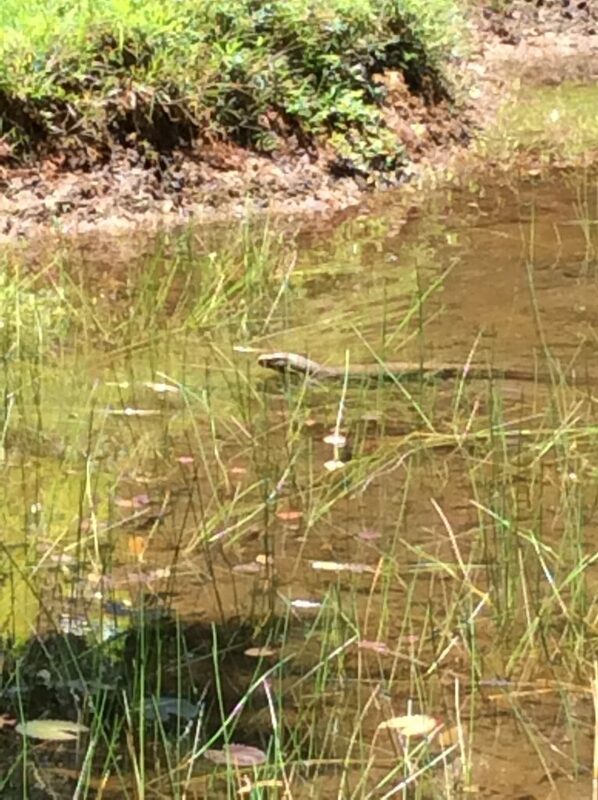 Monitor lizard having a leisurely swim. 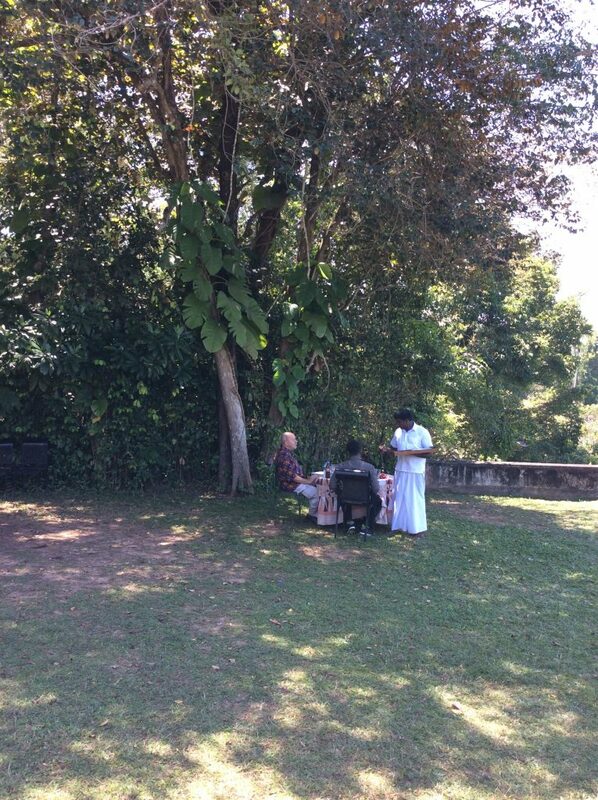 One of the nicest parts of the visit was a delicious lunch served on the grounds. Lunch on the lawn – a gracious feeling that all is well with the world. So civilised and peaceful. 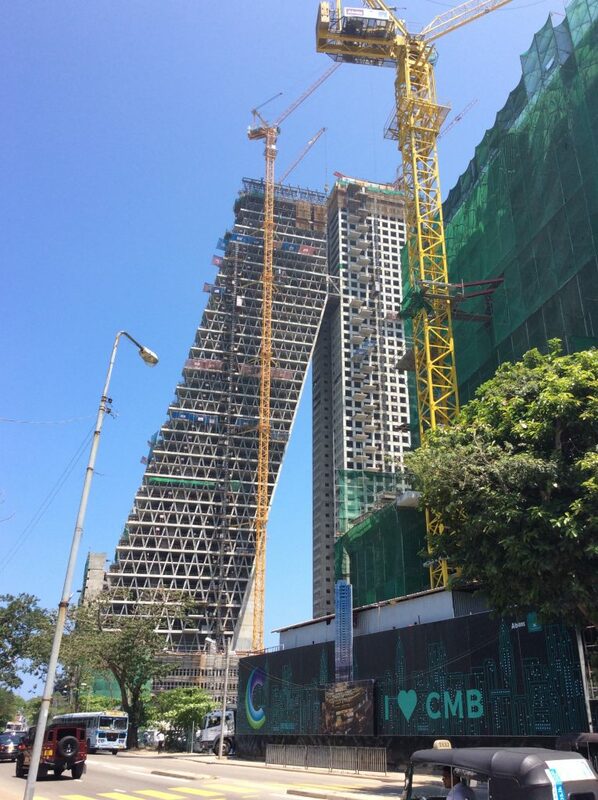 No, it’s not falling over, but one of many hideous developments in Colombo. TheEye visited Colombo many years ago when it was a bustling city with some elegant Victorian buildings, most built by the British. Sadly, it’s now just another crowded city with dreadful traffic and high rise buildings. Endless characterless shopping malls and it’s a mystery who is actually shopping – Sri Lanka is a poor country. Hotels are going up at an alarming rate. 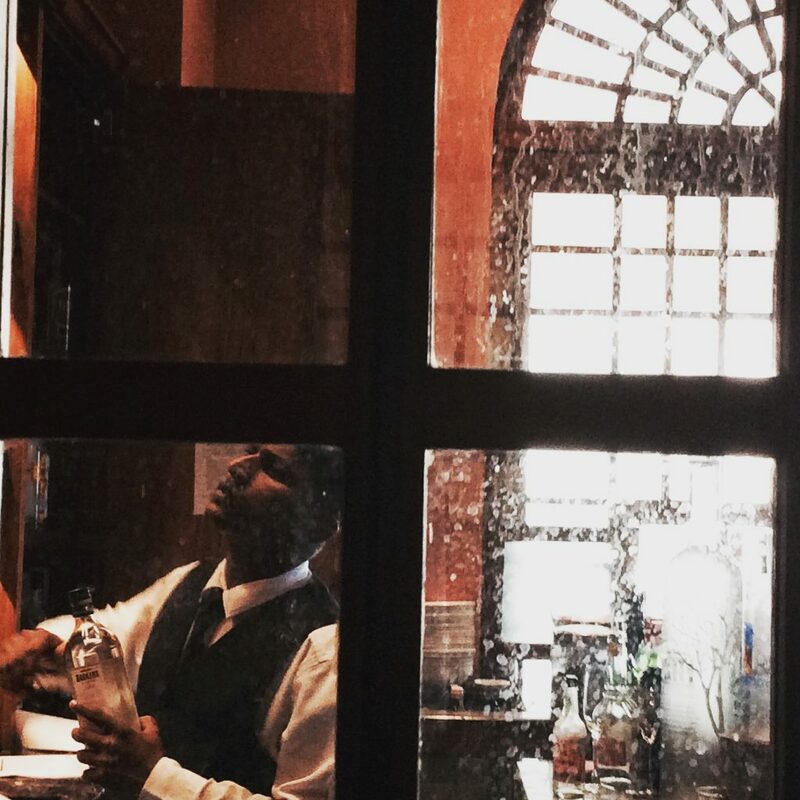 Worth going to Colombo for…the BEST. Don’t worry about the mess – they give you a bib! 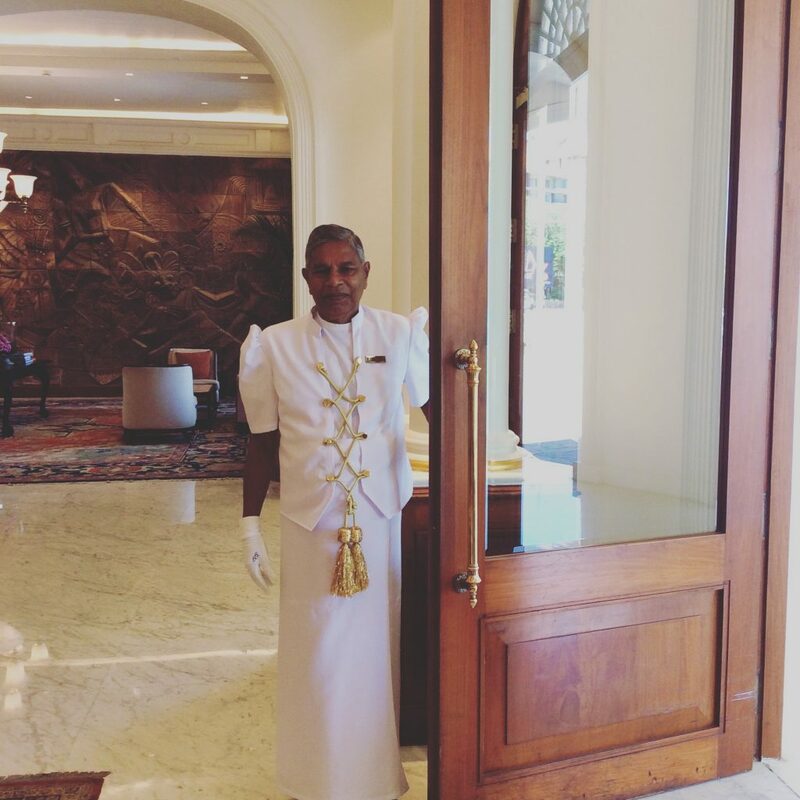 Colombo is not the most interesting city in Asia – the colonial architecture has been pretty much destroyed and many of the colonial buildings have been turned into hotels or shopping malls. The high-rise horrors are a blight on the landscape, but there are some pleasures to be found and Ministry Of Crab in an old Dutch hospital (now a shopping mall) is brilliant. A simple concept which really lives up to its hype. A large converted warehouse, open plan kitchen and the freshest crab prepared in many ways – garlic crab being the most popular. 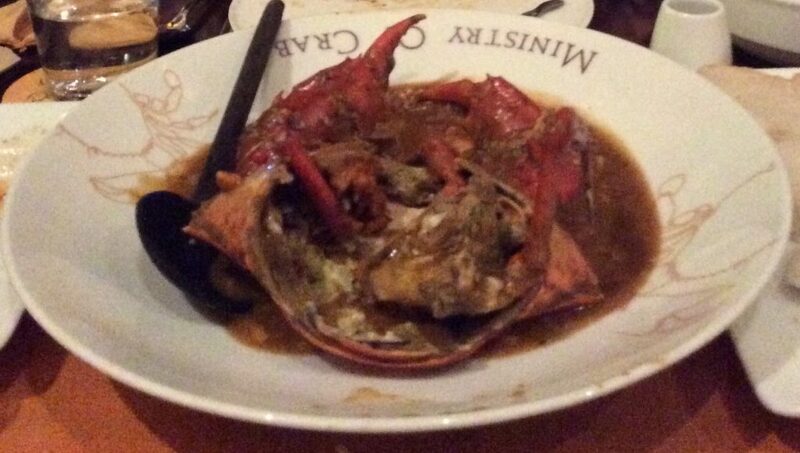 Other shellfish dishes are equally delicious and incredibly messy. Not the place for a first date and don’t wear white. There are three high-profile owners – celebrity chef Dharshan Munidasa, Cricketer Kumar Sangakkara and Mahela Jayawardene. Smart guys. 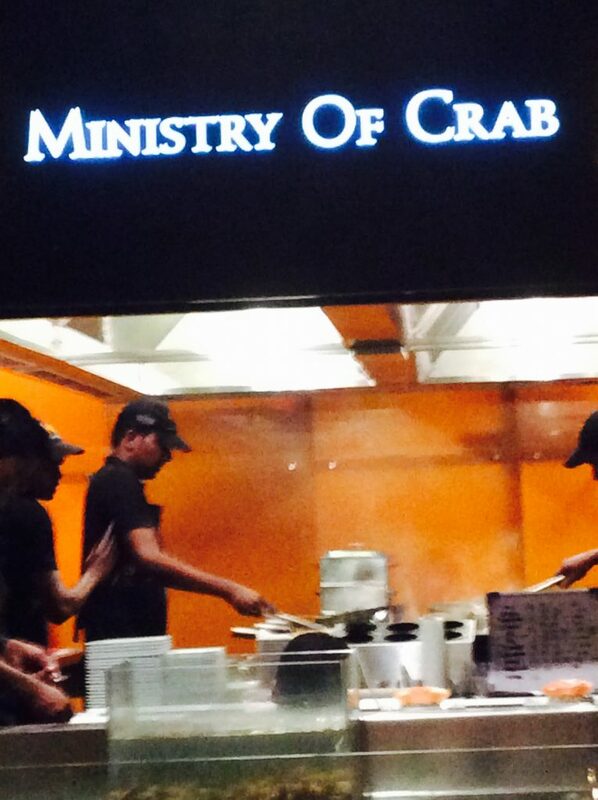 Ministry of Crab is a winner. Great pictures. Maybe not so thrilled ?